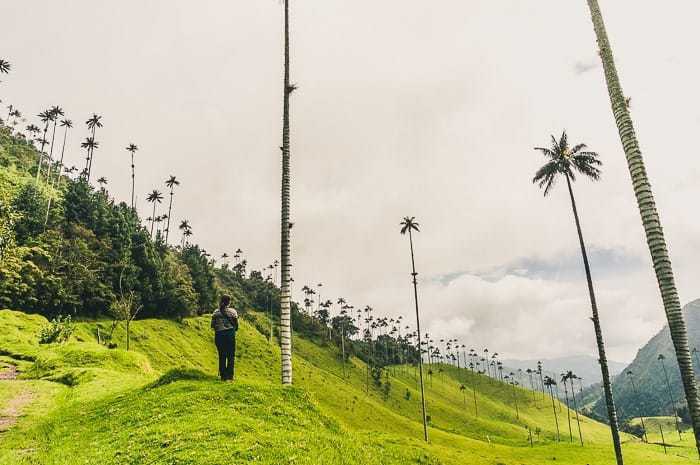 The Cocora Valley hike is undoubtedly one of the best things to do in Salento, Colombia. 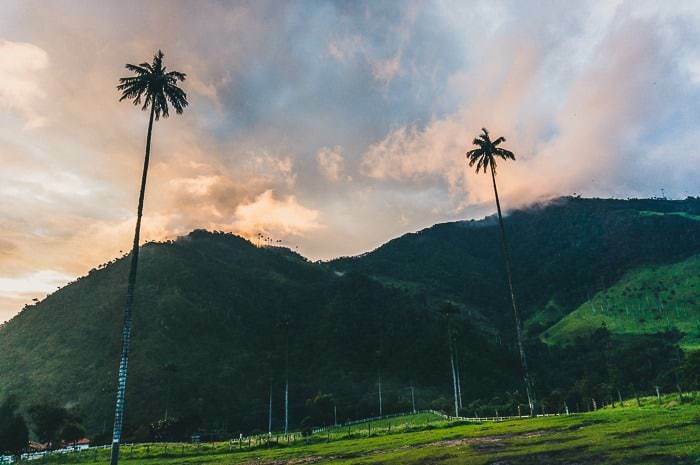 Here you will find towering +60-meter wax palms nestled into rolling green hillsides. 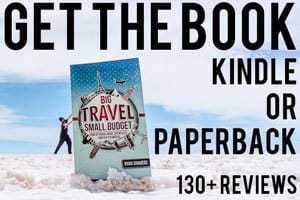 It’s a unique and one-of-a-kind places, that should be on your travel bucket list. 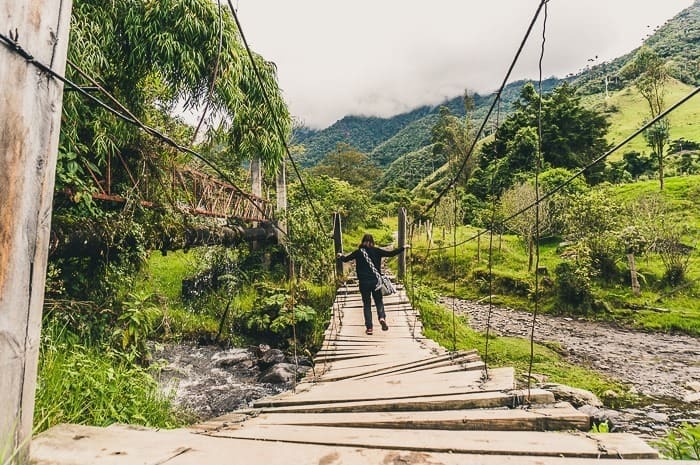 Information isn’t always great about how to go about visiting the Cocora Valley once you actually get there, at least I wasn’t well informed prior to going, so we made a number of mistakes while exploring and ended up going along two separate paths on two separate days. 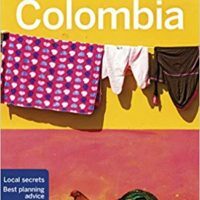 I hope by writing this article, I can clear up any confusion for future visitors about how to maximize their visit while doing the Cocora Valley hike (in Spanish it is known as the Valle de Cocora). 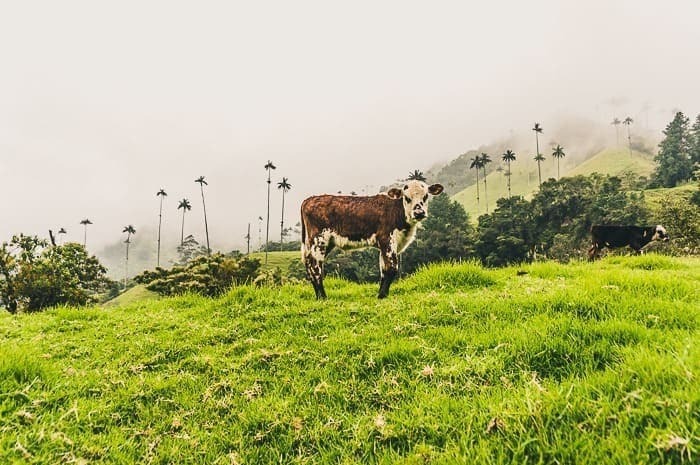 To go from Salento to Cocora Valley, you’ll want to head straight to the main square of Salento where you will find colorful old school Jeeps waiting for passengers. The Jeeps leave once per hour for 3.600 pesos. 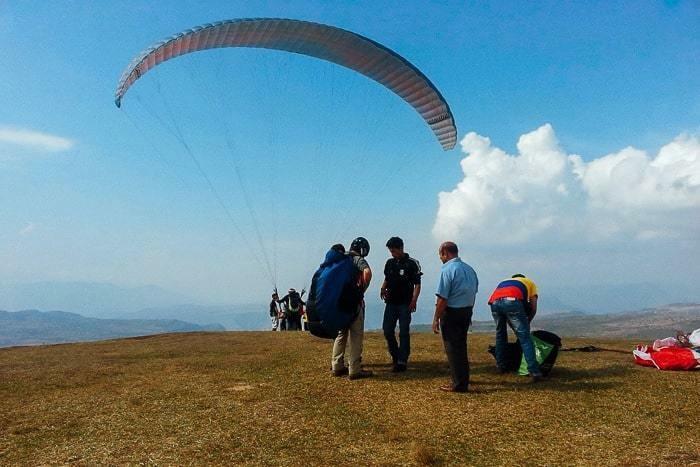 You can also organize a private trip — team up with other tourists who don’t want to wait — for a total of 31.000 pesos. 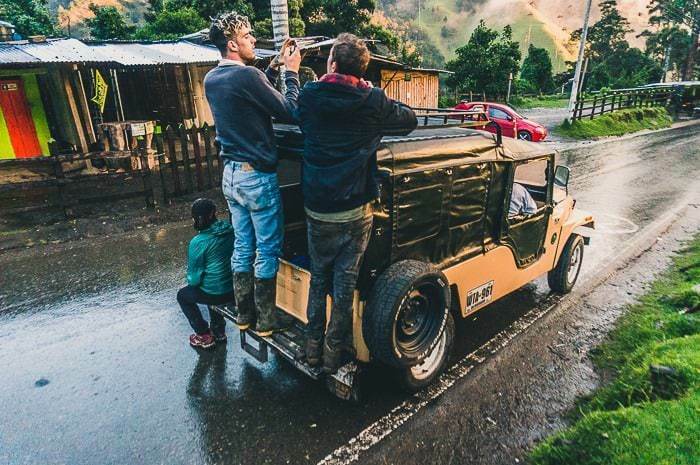 The Jeeps take about 25 minutes to arrive to Valle de Cocora. From the parking lot you will see a number of little shops, people offering horse rides, and of course the nearby palm trees. 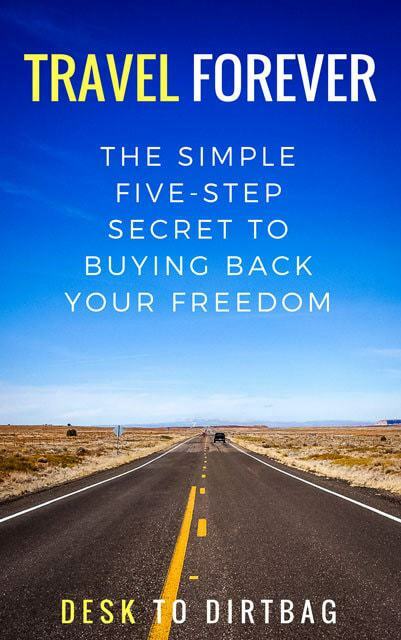 Just up the road you will come to a fork — a gated road that drops off to your right, or the open road that continues straight ahead (to the left). You can hike in either direction, they will eventually loop back together, or you can do an out-and-back to either the right or left. 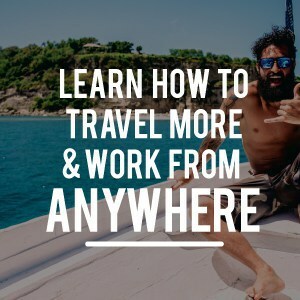 I’ll break down each of the three options and why you might take them below. The full loop with a visit to Acaime (the hummingbird house) is about 7.7 miles and will take 5-6 hours in total depending on conditions, pace, and how often you stop to take in the lush and beautiful scenery. The ideal option for a loop would be to head to the right rather than the left (counter-clockwise, rather than clockwise). 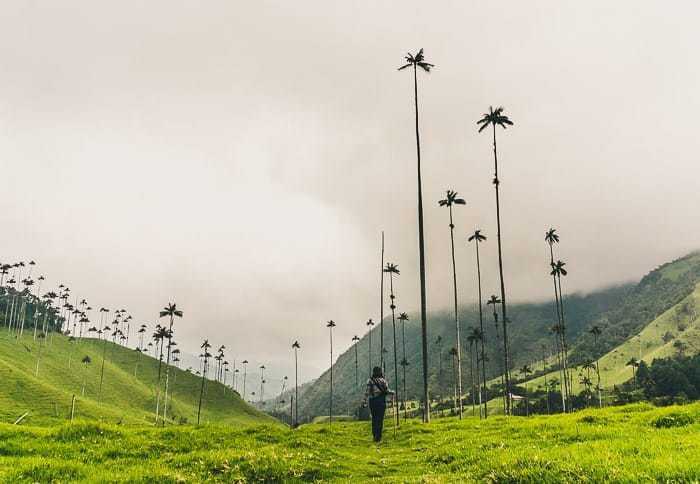 This will allow you to reach the highlight of the trek at the end of your day, rather than the beginning, which is seeing the towering wax palms. 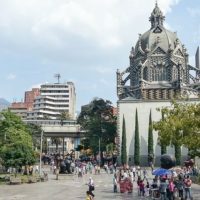 Important: You should also consider the time of day — if you are starting early in the morning, head left toward the wax palms which is more open and unprotected from the blazing midday sun, and if you are starting late morning or closer to midday, it is best to head to the right where you will be protected by shaded trees during the midday sun and come into the open area later. You will also avoid paying the 3.000 fee they charge if you hike to the left. 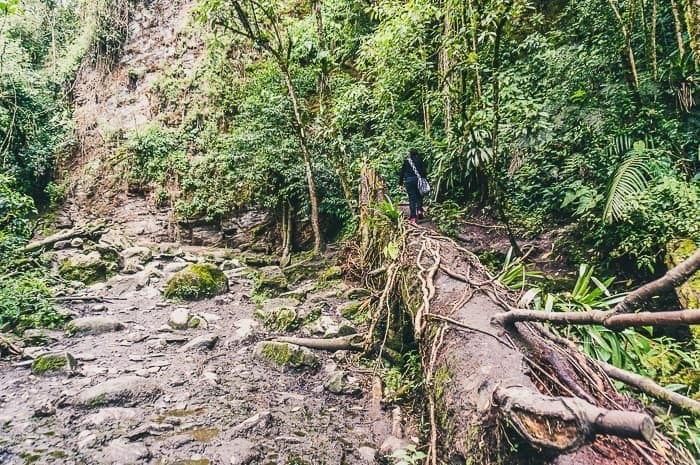 The biggest downside of heading counterclockwise is that you will have to hike up a steep 800 meter climb (although that’s better for the knees than going down it). 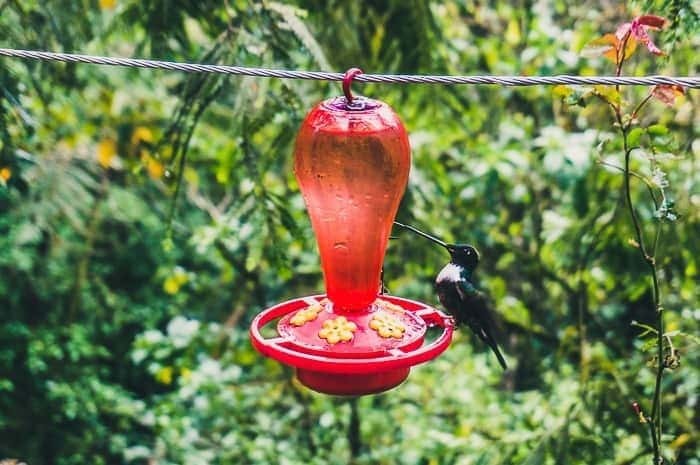 If you are doing the full loop, be sure to allow yourself ample time, especially if you want to make a stop at the hummingbird house (try the chocolate con queso). The last Jeep to return to town leaves promptly at 6:30 pm. So if you arrive around to start the hike around noon, I would recommend skipping the hummingbird house and hustling to do the full loop. 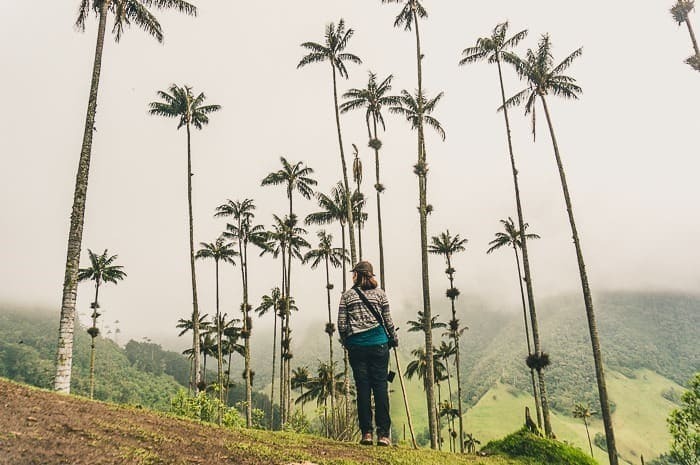 If you are short on time or just want to see the wax palms without visiting either the hummingbird house or exploring the rest of the loop, just head to the left. 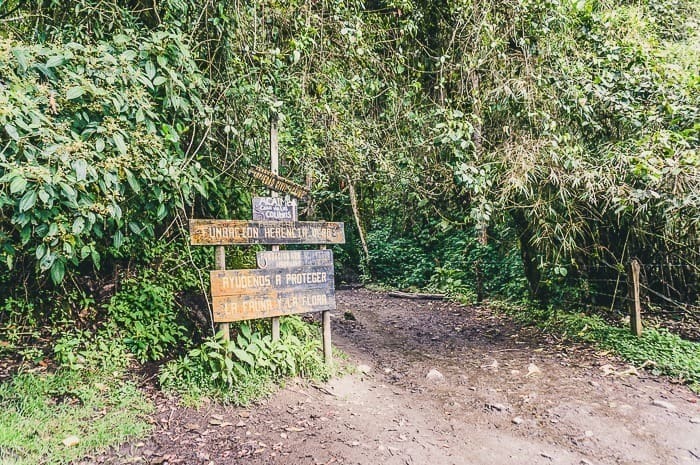 Passing a few more tiendas, you will hike along a road for a short time before arriving at El Bosque de las Palmas, which looks like a detour but is actually where you want to turn off. If you continue hiking ahead along the road you will come to a river crossing and some washed out bridges. We poked around here confusedly thinking we were on the right path and lost time. 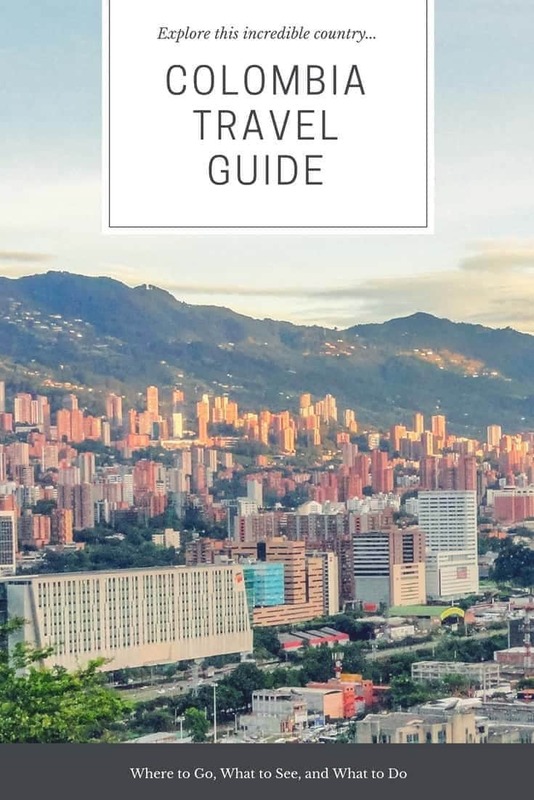 You want to turn into Bosque de las Palmas which charges 3.000 per person to enter. 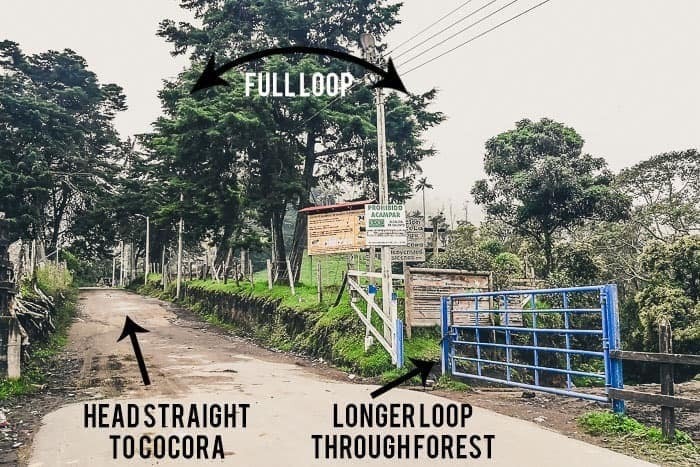 Here you will be on the main loop that leads to the look out, to the hummingbird house, and the full Cocora Valley hike loop. But if you are going in this way, you mostly just want to hike in for an hour or two, take photos and then come back the same way you left. 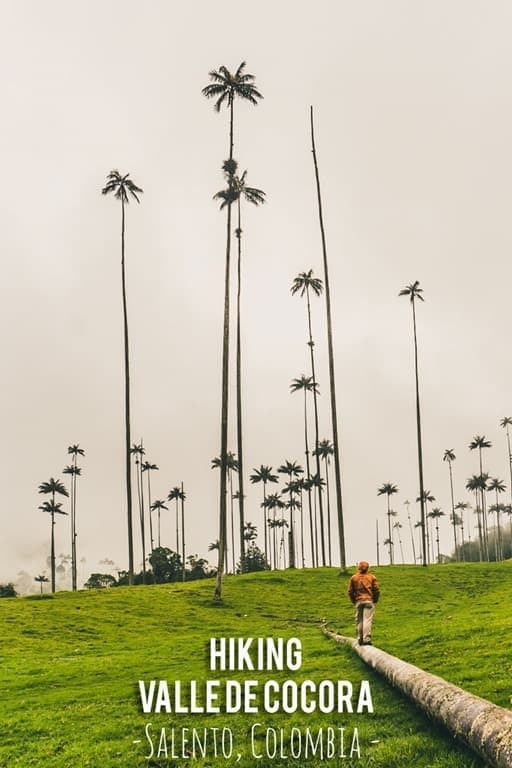 Here you quickly enter the heart of the wax palm territory. Hike up to the top of the hillside for photos — this is the highlight. 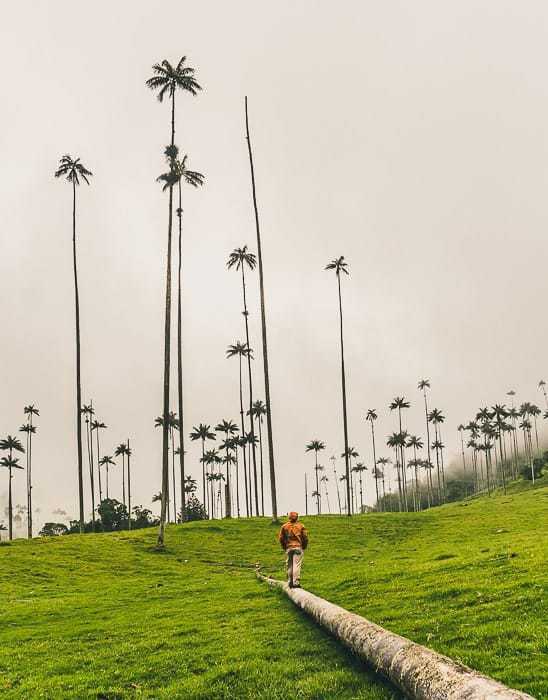 There are other palms ahead, but not like here. The right option will take you downhill past a trout farm. 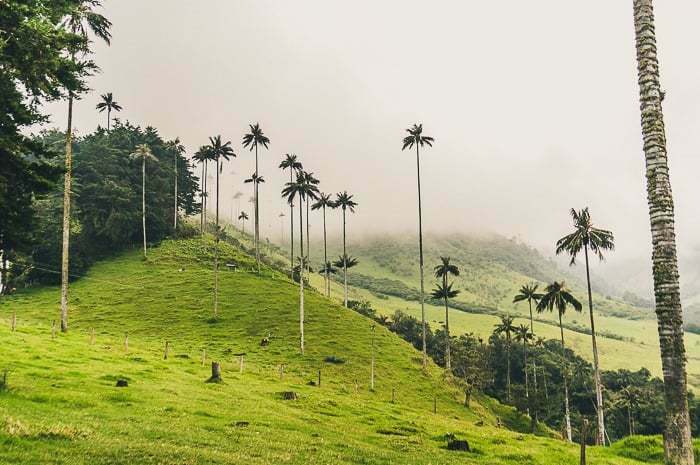 You can see a number of wax palms in the distance and up along the hillsides, but you aren’t walking among them. 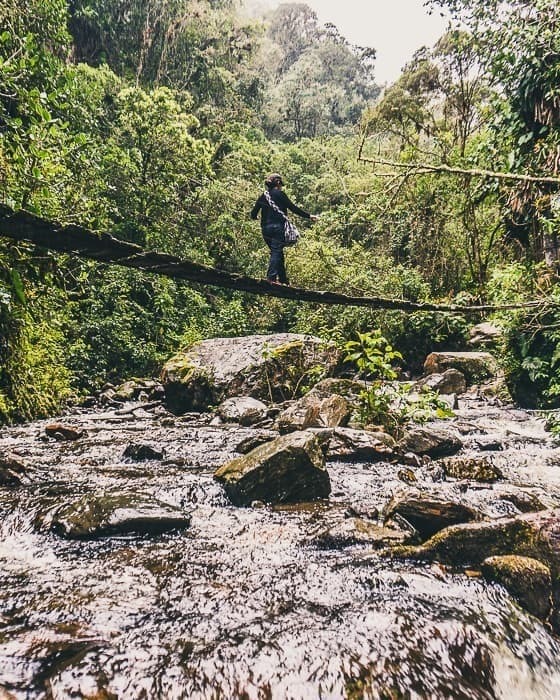 The trail will eventually follow the river and head into thick forest where you will no longer have any views. The atmosphere is cool, and the highlight is the numerous foot bridges hanging over the river. This route is the quickest way to the hummingbird house, but if you are short on time, skip the out and back to Acaime and complete the full loop. We got a late start on the first day and muddy conditions slowed us down so we just hiked out and back from the hummingbird house, but wished we’d done the full loop (something we didn’t plan on as we set out that morning). 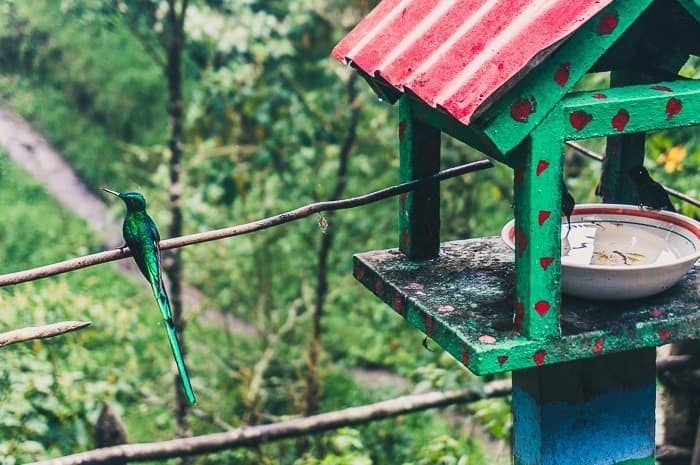 From the hummingbird house, the full loop is about 30 minutes longer than if you hike out the way you came, and you’ll have a big climb up a steep hill. 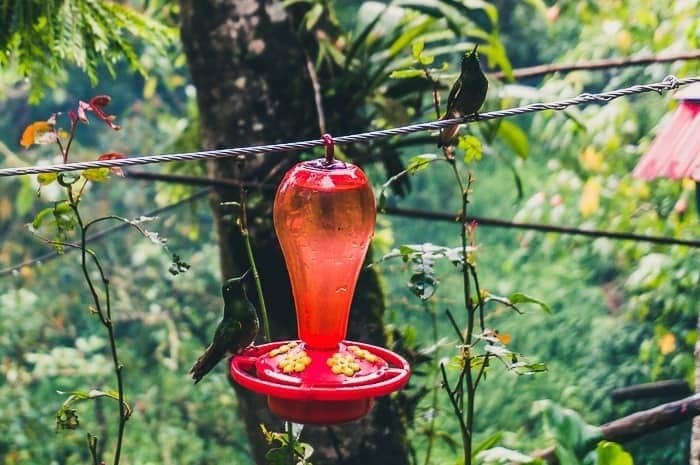 The Hummingbird House is located deep back, approximately two hours along the hike. 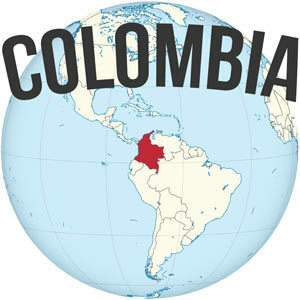 It is a detour of about two kilometers, and is mostly uphill or along a stream. The entrance to this private reserve is 5.000 pesos per person, and includes a free drink like coffee or chocolate with cheese. If you have the time and the weather is nice, definitely go! We were hiking up on a rainy and muddy day and it was kind of miserable, and we were short on time so we could only sit briefly before turning right around to hike out. 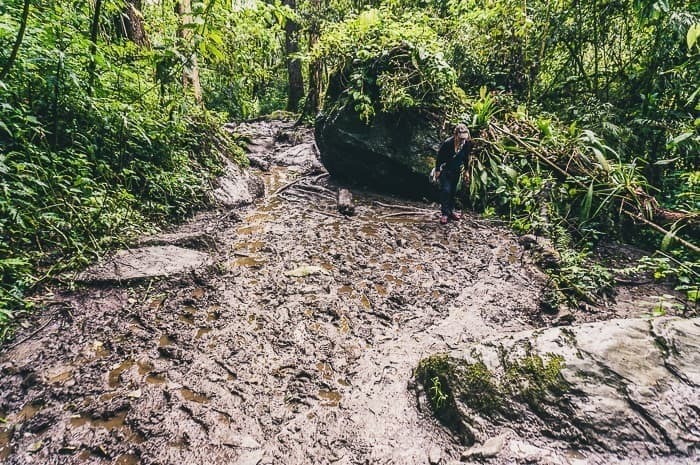 If it has been raining significantly the morning of, or day before, I might suggest delaying your Cocora Valley hike, if possible. We were eager to visit and after the rainy morning let up we went down for the afternoon and hiked to the right, all the way to Acaime. Trail conditions were terribly muddy, wet, and slippery. It slowed us down significantly and diminished our enjoyment of the trail. If you can afford to wait, do it. 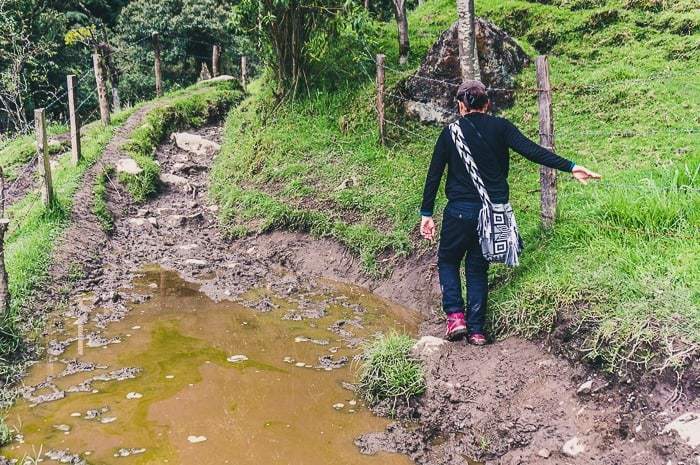 If weather conditions are less than ideal, I would just recommend hiking toward the left, straight into the Cocora Valley since the trail didn’t appear quite as bad as to the right on a still rainy day during our second visit. There are periodic signs throughout the loop, but we were at times confused and ran into plenty of others who were mildly confused about simple things like how to complete the loop or whether they were on the trail to Acaime. 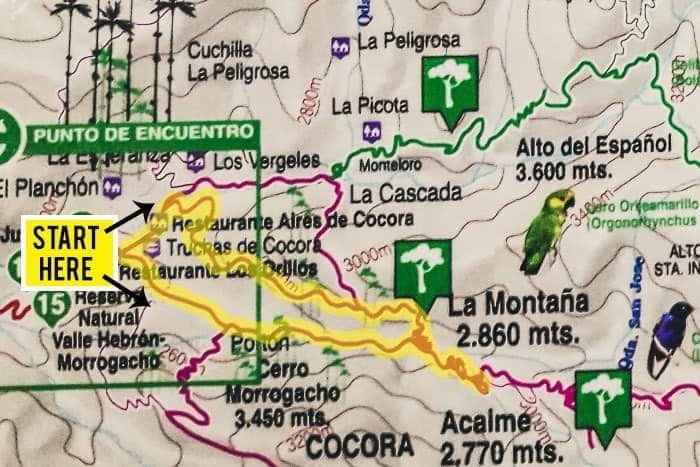 It would be tough to get lost though, so long as you don’t veer off onto the trails that lead to La Estrella or Los Nevados (which can be accessed along the trail to Acaime). 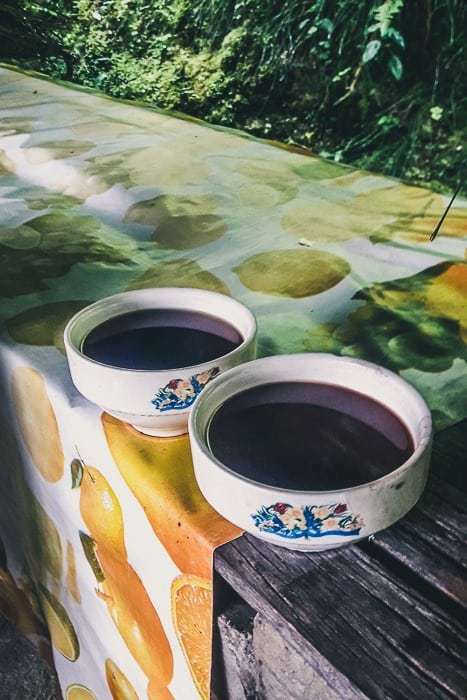 A picnic lunch is definitely recommended, no matter which route you hike. If you do the long loop, you’ll need to eat. If you’re doing the short hike to the palms and out, it’s still pretty awesome to sit along the trunk of a fallen palm and have lunch. 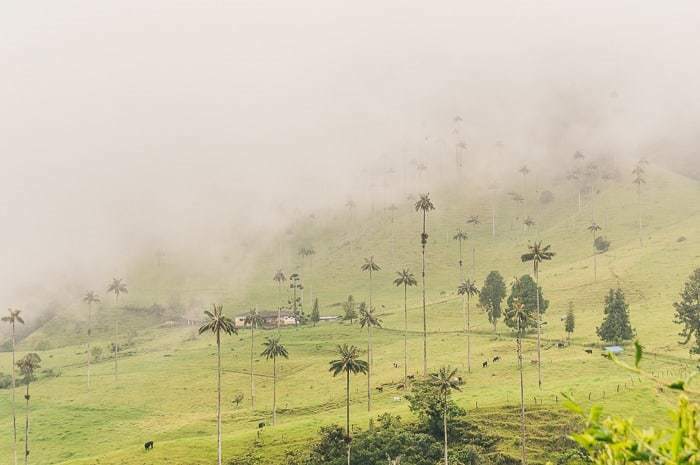 Valle de Cocora weather can be fickle at times, either blazing hot with an intense tropical sun or clouds which can emerge unexpectedly from the surrounding mountains and soak you. Pick up a cheap plastic poncho in town, at least, if you don’t have other gear. Personally I don’t mind getting wet while hiking, but it was a drag to sit around wet and cold for an hour as we waited for the last Jeep at 6:30. Bring adequate water. I would recommend at least 1-2 liters of water per person depending on which route you plan to take. 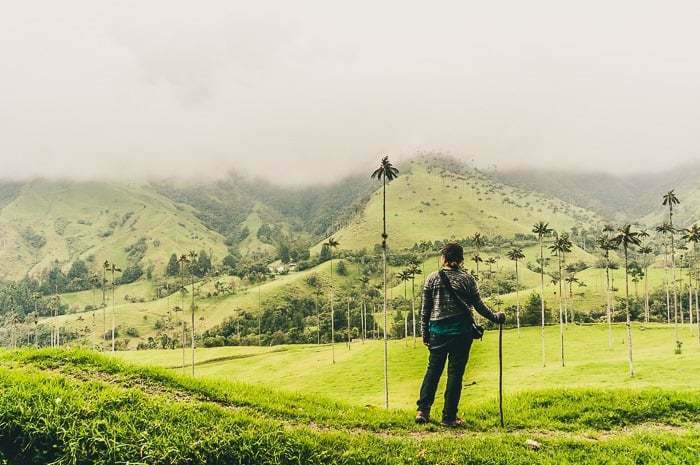 Cocora Valley is an incredible place, among the most incredible places to visit in Colombia, and well worth a full day of exploring — it is absolutely one of my favorite highlights of traveling throughout Colombia and a place that should be on your list. 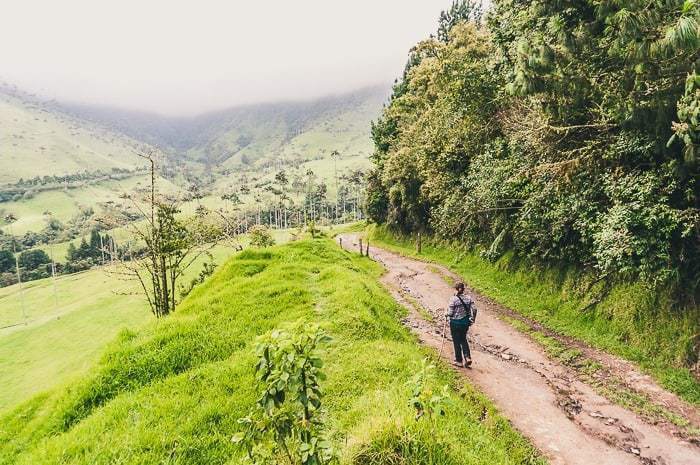 I hope my trail descriptions of the Cocora Valley hike will help you maximize your time visiting and enjoyment of this special place. 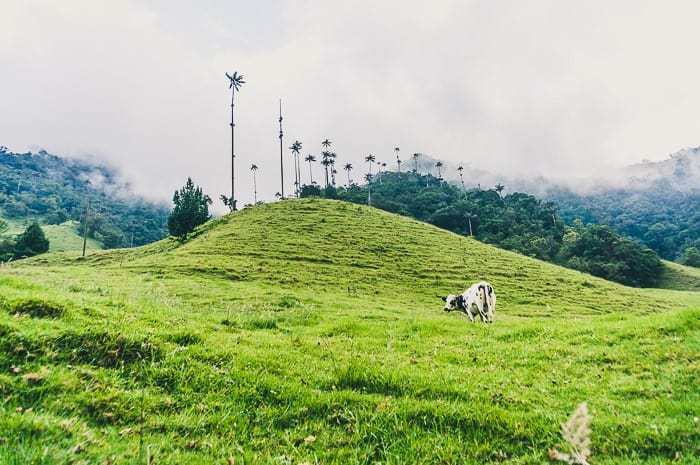 Did you enjoy this post about the Cocora Valley hike? Please take a moment to share it on Facebook, Pinterest, or Twitter. why does your guide say left or right after going through the blue gate..
To go straight to the heart of the wax palms, you stay straight on the road (don’t go through the blue gate) and then a little further ahead you will take a right and pay to enter. That’s the shortest way. Hiking through the blue gate is the long loop. 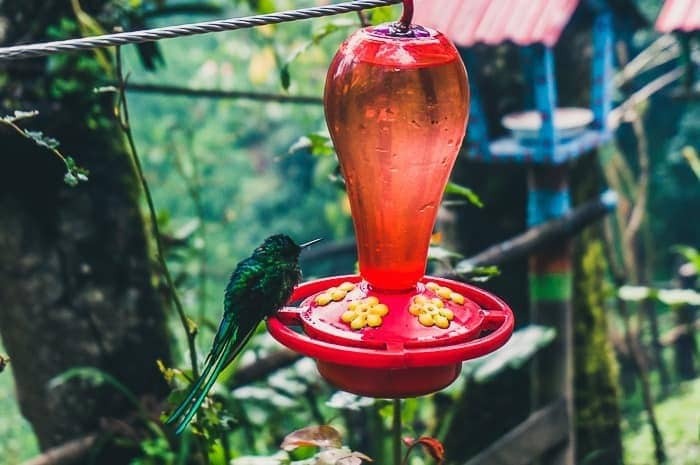 The Hummingbird in your photos: Long-tailed sylph, Buff-tailed Coronet and Collared Inca. Some things about Acaime: is not just a “Hummingbird farm”. 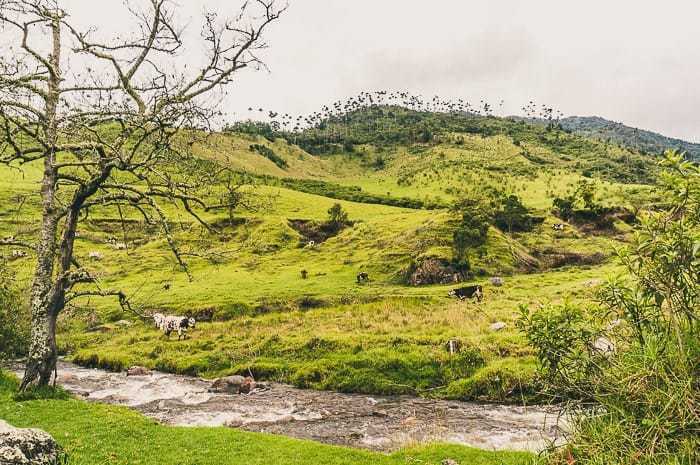 Is one of the oldest private natural reserves in Colombia with a long history in conservation and ecological restoration started by Fundacion Herencia Verde(now deceased) also it was the playground for some of the most important Colombian actual naturalists. Habitat of unique species like unknown orchid Telipogon acaimenses discovered in the 80’s, The Black and Chestnut Eagle the biggest bird of pray in the whole Andean mountain range , etc, etc, etc. 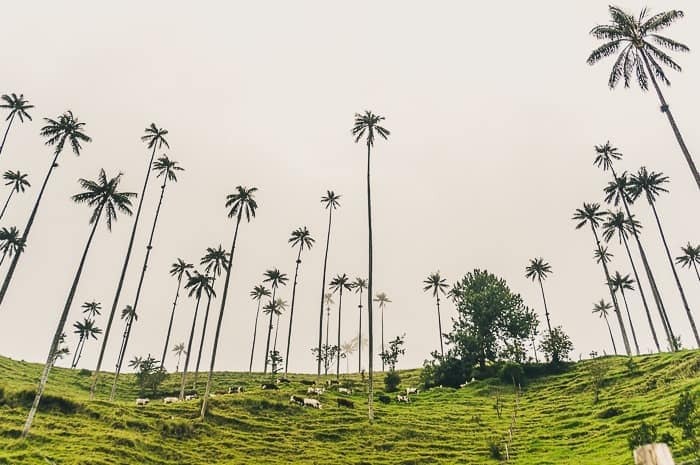 The Wax Palm(Ceroxylon quindiuense) is the Colombia National Tree, It is the tallest recorded palm in the world( 200 ft), has been classified as Endangered. 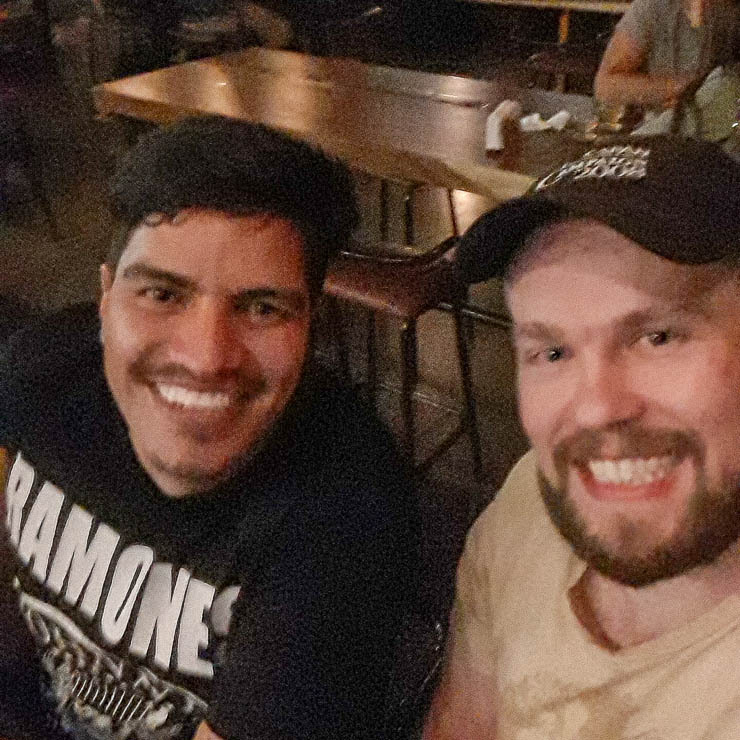 The earliest record of Ceroxylon is made by the priest Jose Celestino Mutis during the Real Expedición Botánica de Nuevo Reino de Granada, But it was Aimé Bonpland with Alexander Von Humboldt who described the species in 1804 with specimens collected in Salento. I can continue for hours but I think you get the point. Must of the people miss the real Salento and they just follow the tourist path….